From left – Dr. John Mangwiro, Deputy Minister of Health and Child Care; Honourable Mthuli Ncube, the Minister of Finance and Economic Development; Honourable Obadiah Moyo, the Minister of Health and Child Care; Mr. Stewart Mangoma. Zimplats joined the fight against cholera and donated medical supplies and water treatment chemicals to the Minister of Finance and Economic Development along with the Minster of Health and Child Care. More than 7000 cases are believed to have been treated to date. The government of Zimbabwe has announced that the outbreak is now under control and reported cases have declined. 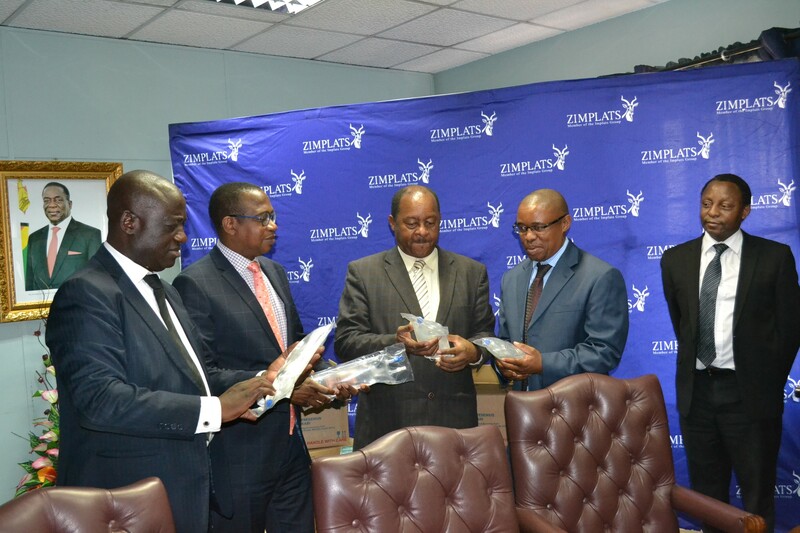 The donation made by Zimplats is not a once off donation but a demonstration of the business continues to assist the health sector in fulfilling its promise to deliver quality healthcare. Zimplats strives to be a successful business and a reliable development partner that shares value created for the benefit of fellow Zimbabweans. The Zimplats Chief Finance Officer Mr. Stewart Mangoma applauded the manner in which the people of Zimbabwe have come together to fight this unfortunate outbreak. “We applaud our corporate colleagues for coming through to assist the Ministry and fellow citizens in their time of need. It is this spirit of support and unity that we believe is essential in re-building our economy. As business we can all bring something to the table and offer not only resources but our expertise and time as part of the national effort to fight this outbreak.” said Mr. Mangoma at the handover ceremony.